With this LED Dimmer you can change the brightness of your LED Lighting. 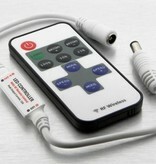 There are controls on the dimmer itself, as well as on the included remote. Connect the LED Dimmer between the power supply and the LED Strip. IMPORTANT: The dimmer is not suitable for use with RGB Strips. This dimmer can connect to max. 72 Watts of LED Strip. 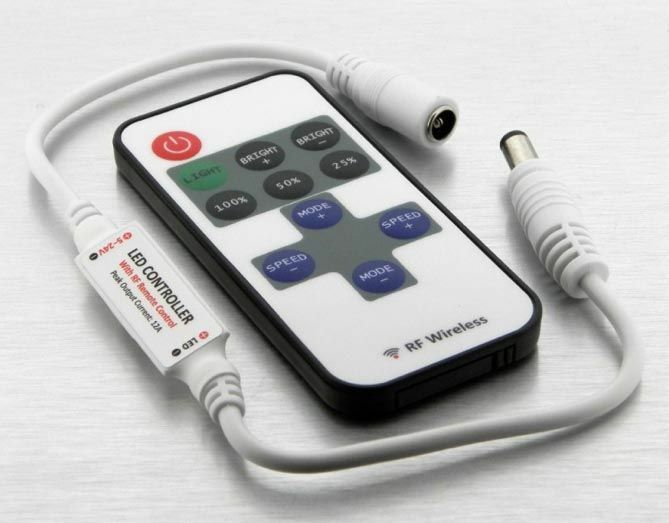 If you want to be able to dim more LED Strip with one remote, you need to use amplifiers. Please do not hesitate to contact us for advice. Genial zur Teuerung der LED Sreifen, verschiedene Modi einstellbar, perfektes Dimmen der Strips.